From October 28 to 31, eight members of the Somg woo fea, Korea Retired Generals and Admirals Association, visited Japan. They paid courtesy calls on the State Minister of Defense and the Chief of Staff, Joint Staff, and had discussions with retired Generals of the Self-Defense Forces who are currently members of Japan Security Research Association. The delegation also visited the Naval Systems Research Center (Meguro), the Ground Self-Defense Force Fuji School (Shizuoka Prefecture), where they learned about technical development, education and training systems, and the equipment of the Self-Defense Forces. 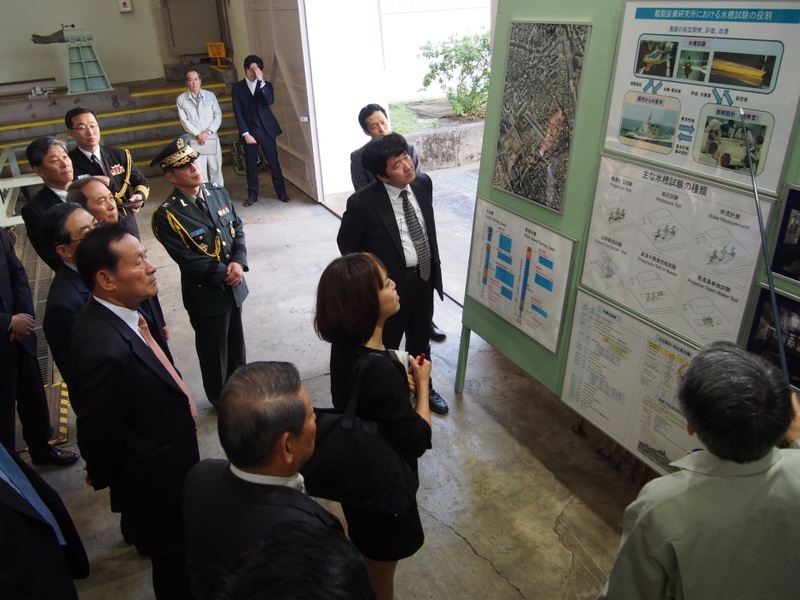 Although inter-governmental relationship between Japan and South Korea remain uneasy in recent years, this project, as an initiative led by a private foundation, played a role in contributing to fostering mutual understanding between the two countries and confidence building in the security field by providing opportunities for a dialogue between defense personnel.